Followers of Nintendo would feel pretty happy and is good news for all the gaming lovers. Capcom Entertainment, a leading worldwide developer and publisher of video games, and Nintendo of America today announced that, US gamers will be offered Monster Hunter Tri combined with the Nintendo Wii Classic Controller Pro for the Wii system priced at $19.99 as of April 2010. Nintendo is also releasing out a controller that is available in both black and white colors bundled with Monster Hunter Tri. It costs you around $59.99 that includes a black controller; while the game itself costs you $49.99. SAN MATEO, Calif. & REDMOND, Wash.—(BUSINESS WIRE)— Capcom® Entertainment, a leading worldwide developer and publisher of video games, and Nintendo of America today announced an exciting new bundle featuring one of the most highly anticipated titles for 2010, Monster Hunter® Tri, and combining it with the new Classic Controller Pro™ for the Wii™ system. The Classic Controller Pro’s more traditional control configuration will give gamers the ultimate Monster Hunting experience when the bundle becomes available in North America this April at a suggested retail price of $59.99. Making its North American debut on Wii this spring, Monster Hunter Tri is one of the most strikingly beautiful titles developed for Nintendo’s Wii system. Pushing the hardware to the limit, Monster Hunter Tri depicts a living, breathing ecosystem where humans co-exist with majestic monsters that roam both dry land and brand new sub-aqua environments – a first for the series. 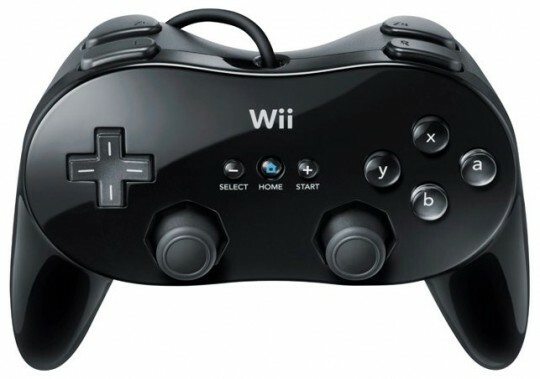 Offering the player varied control configurations to suit their style of play, players can choose between the Classic Controller Pro, Wii Remote™ and Nunchuck™, or Classic Controller™ to slay the monsters that inhabit the world. This entry was posted on January 26, 2010 at 5:33 PM	and is filed under Gaming Consoles. Tagged: Controller, Gaming, Monster Hunter Tri, Nintendo, Wii, Wii Classic Controller Pro. You can follow any responses to this entry through the RSS 2.0 feed. You can leave a response, or trackback from your own site. Hey, I found this site through google. You post was awesome. Will be back really soon! More often than not I don’t comment on web sites, but I would like to say that this article has forced me to do so! Thanks for your perceptive post. Thanks for reading the post.Will try my best to post some good ones in future as well. Hey there! I have to say I really enjoy Your blog, it makes for an awesome Read! I hope to see more blog posts from you soon! Thanks! I am surprised at the items I overlooked before I read this post. Thanks for the good information. Hey I just wanted to let you know, I actually like the writing on your web site. But I am employing Firefox on a machine running version 9.04 of Ubuntu and the look and feel aren’t quite correct. Not a big deal, I can still fundamentally read the articles and search for info, but just wanted to inform you about that. The navigation bar is kind of hard to use with the config I’m running. Keep up the good work! Hi. I stumbled across your web site while I was searching for something completely unrelated. While I don’t agree with everything you posted we do have similar thoughts for the most part. I have bookmarked your blog and may visit again in the near future to see what you’re blogging about in 2010!